Facebook has announced its 25 most popular social games for 2012, with music trivia game SongPop taking the overall crown. The game, in which users have to guess the name of the song or artist from a brief audio sample, beat out a host of titles from Zynga, including OMGPOP's Draw Something, which it bought earlier this year. 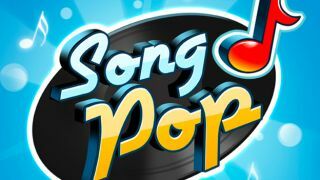 SongPop's popularity was boosted by the presence of an iOS and Android app that allowed for seamless cross-platform play as it took the number one spot based on user-ratings and engagement. In second place was the Facebook.com-only Dragon City game, where players breed their own dragons. Physics-based motorcycle game, Bike Race, rounded out the top three. The former undisputed king of social gaming Zynga, still managed to squeeze six titles into the top 25 with Farmville 2, Scramble with Friends and Draw Something all making the top 10. Given the phenomenal success of Draw Something in the early part of 2012, it's somewhat surprising that the Pictionary-inspired game isn't higher up the list. Facebook says the list isn't necessarily based only on how often the game is played, but how long users spend playing it and how highly it has been rated by the community. In a post on its Newsroom blog, Facebook's head of European gaming partnerships, Julian Cordoniou wrote: "In the social games world this year we saw the emergence of new categories of games, high quality graphics and immersive gameplay, and games built by big and small developers from around the world. "It was the most diverse and global year for social games to date - for those on Facebook.com, as well as games built with Facebook for iPhone, iPad and Android." The range of high quality and beloved games from developers outside of Zynga HQ will be a boost to Facebook given how its relationship with the company changed in recent months. Zynga announced its own social gaming platform in March in order to compete with Facebook.